Kitchens are a place that if you really think about it we usually spend a lot of time in. Whether it be cooking, eating or even just microwaving things. Yet a lot of times we let them get old and don’t think about renovating them. Think about the number of times you’ve spilled things on your kitchen counter or even floors. Did you ever actually clean them out properly? A kitchen remodeling service can not only be a great way to bring new life into your home it may also be a great asset to your health. Plus you will be able to install a whole slate of cool new gadgets if you want to! One of the first areas around the kitchen that may begin to show signs of wear and tear are your kitchen counters and cabinets. The doors on the cabinets will tend to break off or just stop working properly. We know that sometimes bringing in a carpenter for the smallest issue seems like a waste of money. Before you know it though, a lot of cabinet doors may not work properly and your counters may also look all worn out. We use all of the top modern materials to bring your kitchen into the 21st century. If you are going for a retro look that is also something that we can manage! Some people like to keep old kitchen appliances when they belonged to their ancestors or other relatives. We hate to break it to you, but these days kitchen appliances are a lot more advanced than they were thirty, forty, fifty years ago and beyond. Why not give the new school a try? For the most part, you will find that a lot of the cooking and other types of activities you do in the kitchen you will be able to do more efficiently. 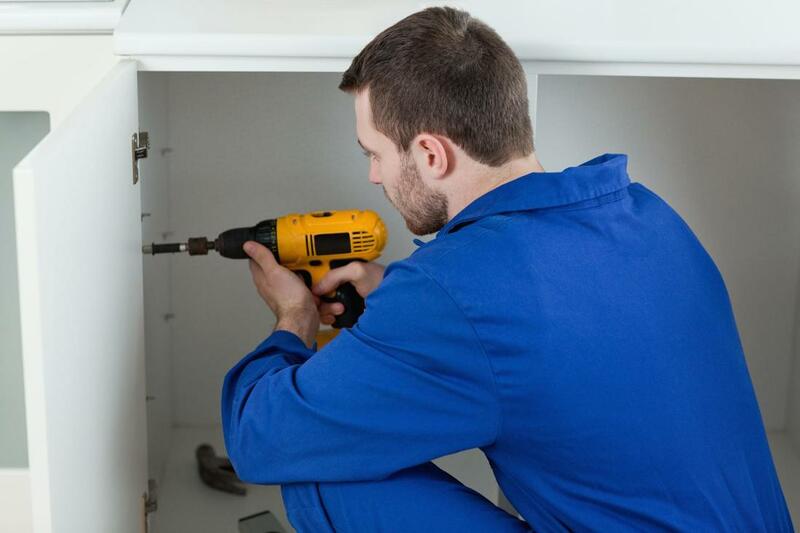 We can help make sure we install all the new appliances and be certain they work properly. Even a small leak can turn into a big problem if it is not taken care of properly. The older the pipe system the more problems you are likely to have. Sometimes remodeling that part of your kitchen can be a way better investment than bringing in the plumber once a month. We can help renovate all of the sinks and faucets in your kitchen so that water will be able to run properly and you won’t have to worry about those disturbing leaks! Your kitchen floor can usually be one of the dirtiest floors in your entire home even if you clean it regularly. A lot of the oil and foods that you can accidentally spill there can take a toll on your floors over time. We can help you by, either pressure washing your floors to make sure that we can remove a lot of the gunk that has built up. If you want to remodel your floors that is also a service that we would be more than happy to provide!